In this video, business growth coach Mr. Mohnish Nair talks about leadership and the difference between boss and leader. It’s a must watch if you want to know about transactional vs transformational leadership. For more business and progress tips, stay tuned to this channel every Saturday at 7 pm Mohnish Nair is a Growth Coach who enjoys coaching small business owners create BIG businesses. He conducts Personal and Business coaching sessions, Sales Training workshops, Educational seminars and Business & Brand Consulting programs. His vision is to train and coach 1 crore Indians to become world class Entrepreneurs. He is the Chief Growth Coach at Maple Dreams. 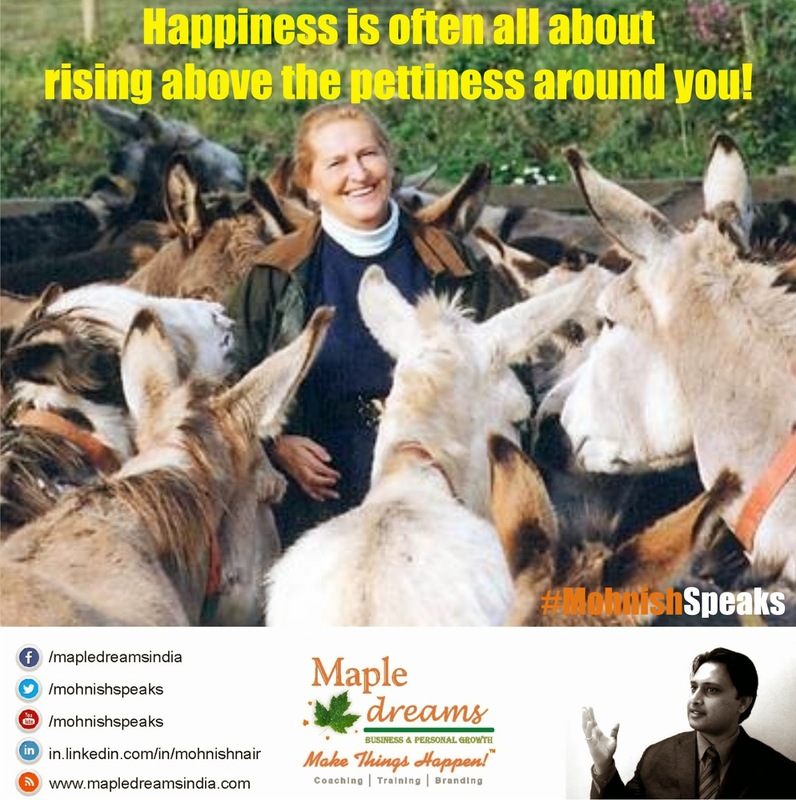 Happiness is often all about rising above the pettiness around you!